Who doesn’t like one-stop shopping? Whether you are a busy mom or dad, young professional or active student, you like the convenience of getting everything you need from one reliable source. Comprehensive dentistry provides all the dental services you and your family needs in one convenient location. Offering an array of dental procedures under one roof, comprehensive dental offices possess the staff and services to address everything from preventive care, crowns, gum treatment and dental implants to cosmetic and restorative dentistry. Here are four ways comprehensive dentistry can save you time and headaches. 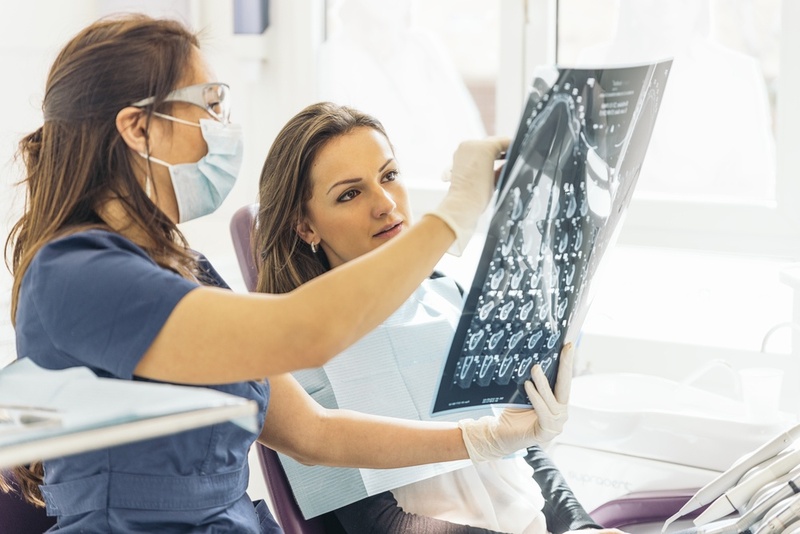 Starting from the x-ray and assessment to final treatment, a comprehensive dentist can provide all the dental services that you need – and more – from one convenient local office. Instead of driving around town to visit specialists you barely know, you can receive complete dental services and specialty treatments such as veneers, teeth whitening and gum grafts from a doctor that you trust and who understands your health history. In the past, your children went to one dentist office while you visited another for your regular appointments. Or your spouse, who dislikes or even fears going to the dentist, preferred an office specializing in sedation dentistry. A comprehensive dental group like West Chester Dental Arts can attend to the needs and preferences of the entire family, often on the same day. Now, both you and your children can get a dental checkup at the same time, in the same office. And your spouse or loved one can opt for sedation while you are both treated at one time. Scheduling visits together dramatically reduces the amount of time dedicated to driving and waiting at different offices. One appointment also simplifies planning dental checkups, so you are less inclined to forget about them. And talk about a bonding experience! Everyone has a different reason for going to the dentist at a particular time. Your children might just need their teeth cleaned or require an extraction due to crowded teeth. Or you might need a crown for a tooth or want your chompers whitened before a big event. Or you may have elderly parents in your care who need dentures. A comprehensive dentist can provide all these services and more at their one location. Instead of waiting for openings at a variety of dental offices for specialty services, your regular dental office will most likely fit you right into a time slot that is most convenient for you and your family members. As a regular patient, your comprehensive dental office understands your needs, so everything is addressed promptly without preliminary consults. You’ve been there. You visit the dentist for a cleaning and find that you not only have a cavity but will need a crown soon. A comprehensive dentist not only identifies problems and potential issues but can treat virtually all of them – sometimes on the spot. You save time by resolving your immediate dental problems right away – and in one appointment – rather than having to visit a specialist down the line when you have an emergency matter that leaves you in pain. Comprehensive dentistry saves you both time and money by offering a range of services to take a proactive approach in treating your teeth. Avoiding the dentist due to lack of time is no longer a valid excuse. West Chester Dental Arts caters to the dental needs of children, young professionals, parents and grandparents with a range of services that offers convenience for those with busy schedules. To learn more about our office and comprehensive dental services, contact us today.